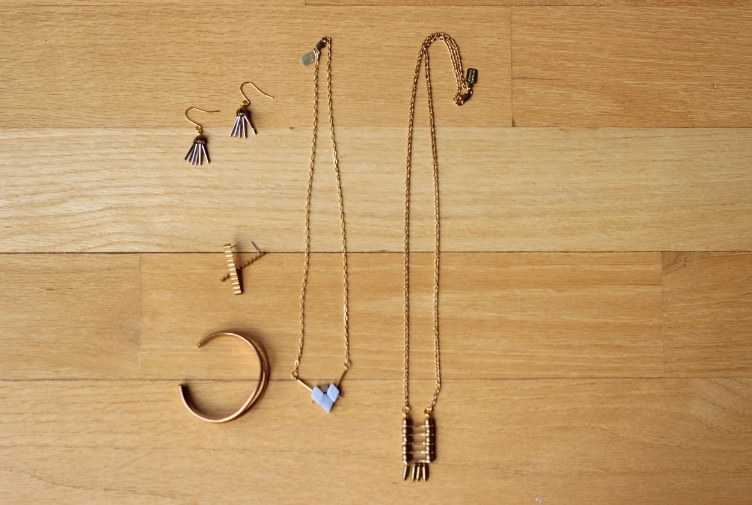 On most days, you can find a piece of Michelle Starbuck jewelry on my body. 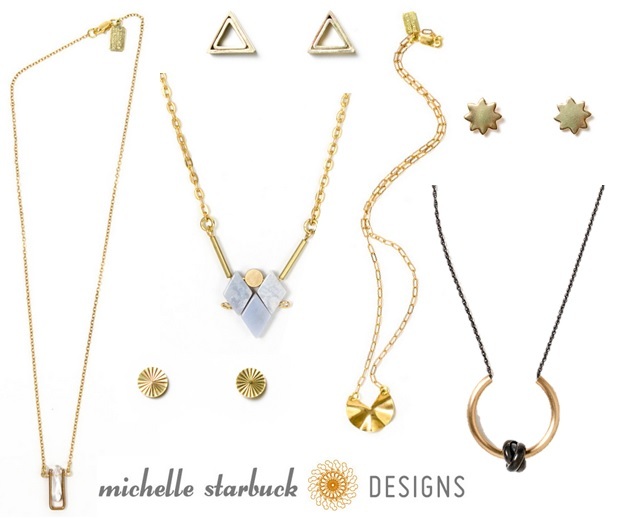 Michelle is a Chicago designer who repurposes vintage materials into fantastically wearable and unique geometric jewels. 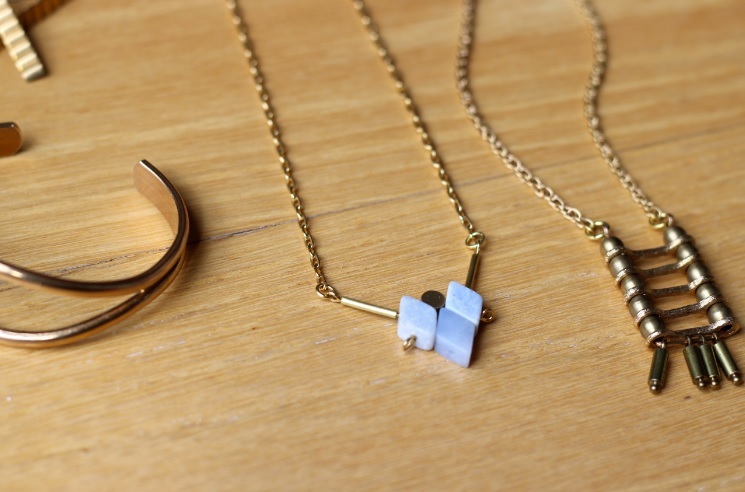 Case in point: these triangle stud earrings (worn here) and this necklace (seen here). I’ve met Michelle a few times, by way of Lindsay, and think she is as cool as her brassy strands. 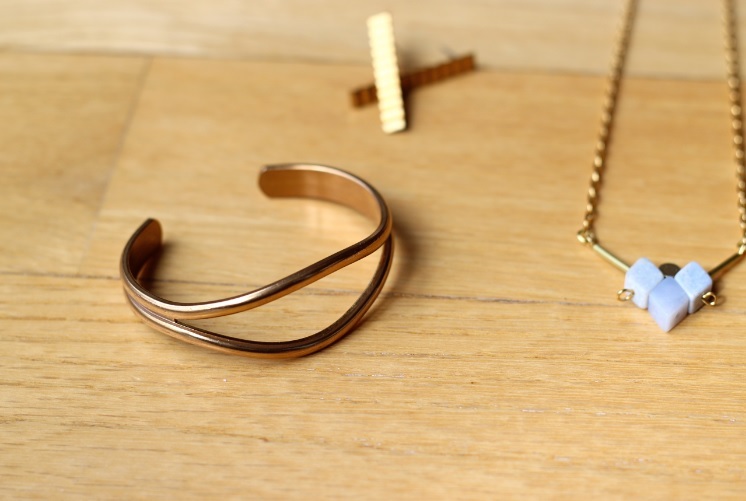 Her mission is to make wearable jewelry that is always affordable. She has a classic aesthetic that I just love because her pieces go with everything. 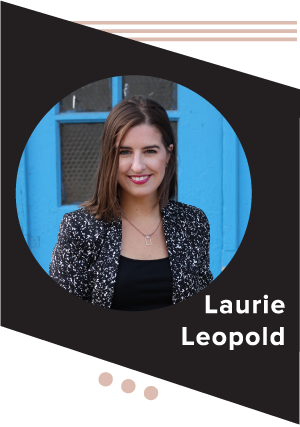 And she lets you in on her creative process, often sharing new ideas as they’re taking shape. Somehow her excitement over scoring new vintage materials comes through so contagiously! A peek at my rapidly growing MSD collection! I’d been looking for a cuff like this for years and stumbled on this at Michelle’s recent warehouse sale. The “tassled” ladder is one of my favorite necklaces. It’s the perfect length and feels like one of a kind, which is likely true since she works with only the materials she has. Michelle sells at several Chicago shops including The Inkling Shop on Broadway and Modern Cooperative in Pilsen and does local pick-up so you can avoid shipping if you buy from her directly! Also, happy (official) earth day 2014!